my sister is training to run 19.3 miles over 2 days at the disneyland half marathon weekend to support st. jude children's research hospital. 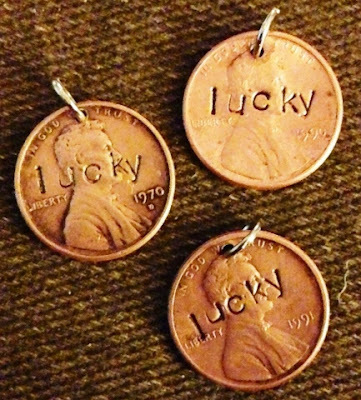 because she considers herself lucky to be able to participate (however slow), she's sharing these cute lucky penny charms with her supporters. They are so, so sweet! Good luck to your sister, too!